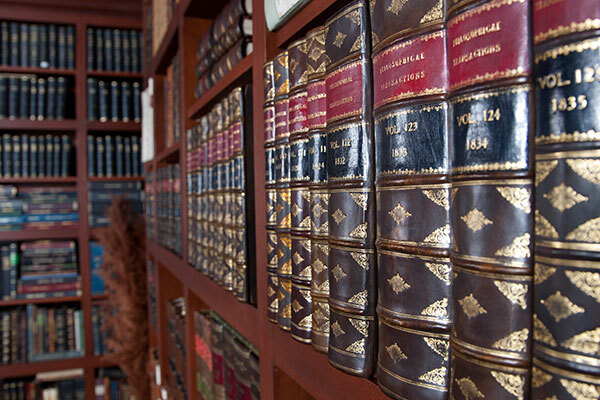 The collection of rare books contains the most important discoveries in physical sciences over the past four centuries. 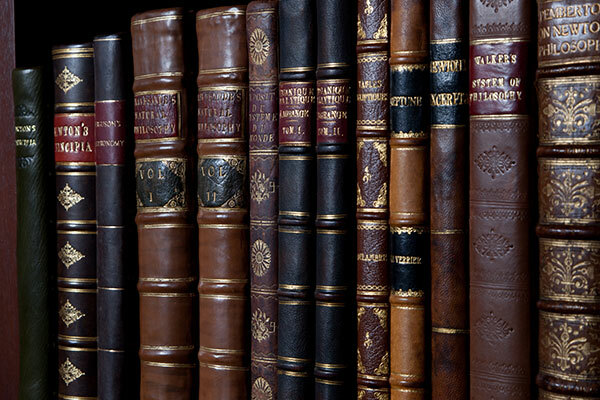 The 3,800 volumes were carefully curated over a 25-year period by David Wenner and feature works by Ptolemy, Galileo, Huygens, Halley, Newton, Curie, LaPlace and more. 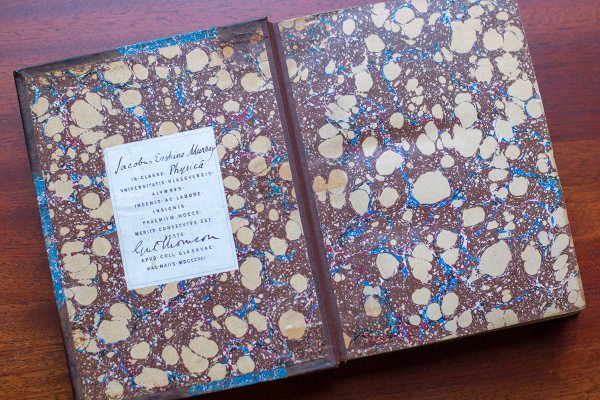 The American Institute of Physics (AIP) is proud to own the Wenner Collection of rare books and materials and invites you to support the cataloguing, activation and digitization of the collection. 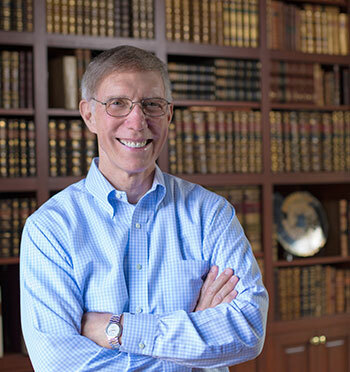 With generous support from the Alfred P. Sloan Foundation, the National Endowment for the Humanities, and the Gordon and Betty Moore Foundation, AIP will house and make available over 3800 items in the history of the physical sciences. “I figure that a collection of this size should be made accessible to others. My collection has outgrown my house and now also occupies two climate controlled storage rooms, and I have neither the means nor the energy to make it accessible to historians of science or the public. Wenner Collection arrives at AIP! On May 24, 2018, after 1,000 miles of travel, the Wenner Collection of rare books and manuscripts arrived at AIP in College Park. Over 3800 items were carefully wrapped and boxed in Florida and transported to College Park. 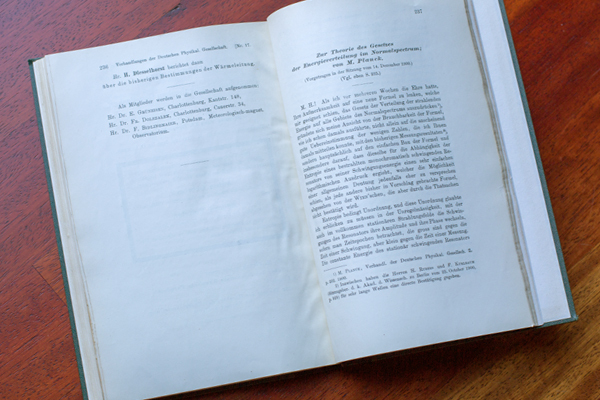 Each volume was then unpacked and unwrapped and placed on the shelves in the archives of the Niels Bohr Library & Archives. Melanie Mueller, Director of the Niels Bohr Library & Archives, and Allison Rein, Assistant Director of Special Collections, supervised the rare book movers as they packed up the materials in Florida and made sure the individual volumes were shelved in College Park. To learn more about the rare books’ arrival and to watch a video on the plans for activating the collection, see this video. Mr. Wenner did not set out to create the world's most complete collection of the history of physics. He started by gathering the Nobel Prize winning physicists' works and gradually built his library to include the formative works of physical science. 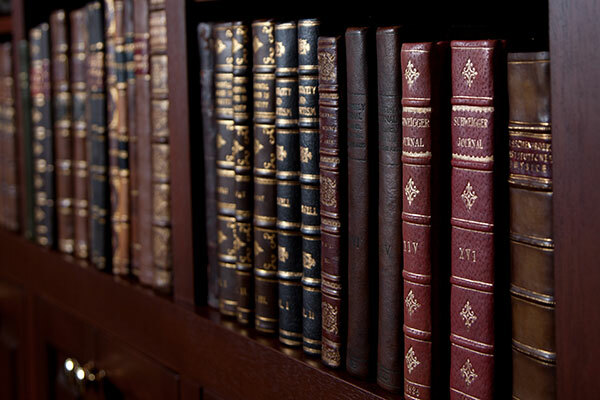 Topics in the collection include classical mechanics, electricity and magnetism, thermodynamics, condensed matter physics, astrophysics, cosmology and particle physics. 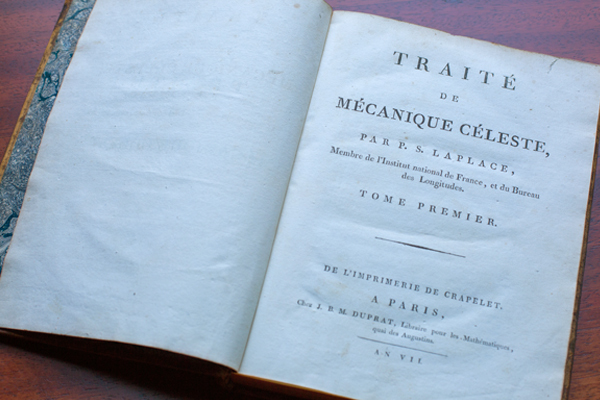 The magnum opus of Pierre-Simon de Laplace: Traité de Mécanique Céleste, published in five volumes during the years 1799–1825, and its four-volume English translation. Inscription by “Gul Thomson” (Lord Kelvin) to one of his students of the third edition of Newton’s Principia. 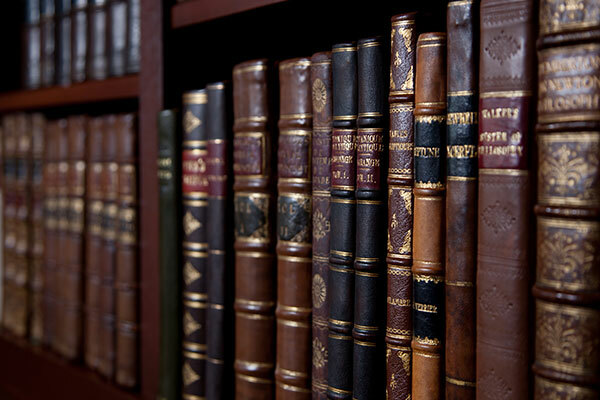 Volumes from a run of the Philosophical Transactions of the Royal Society of London, containing most of the important physics papers published there from the mid-1600s to the early 1900s. 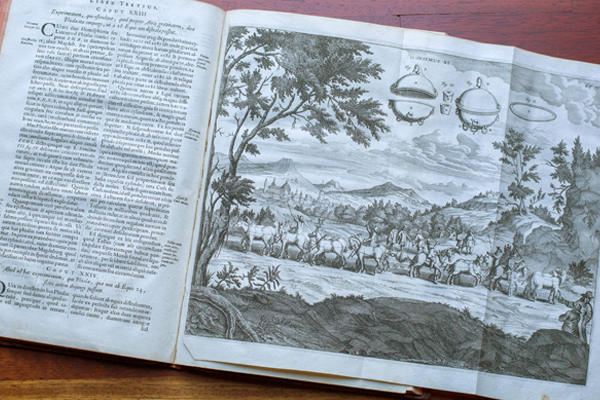 Definitive 1763 edition of Roger Boscovich’s Theoria philosophiae naturalis. . . (“A Theory of Natural Philosophy”) on the theory of atoms and the forces that act on them. 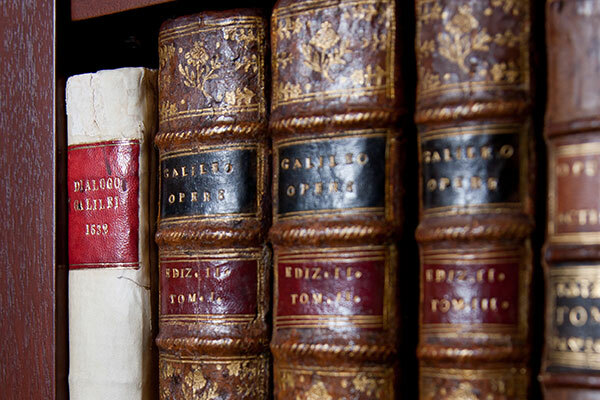 A rare first edition of Galileo's Dialogo (1632) and a three-volume set of Galileo's Opere. A section that includes a rare set of Opuscula omnia Actis Eruditorum Lipsiensibus. 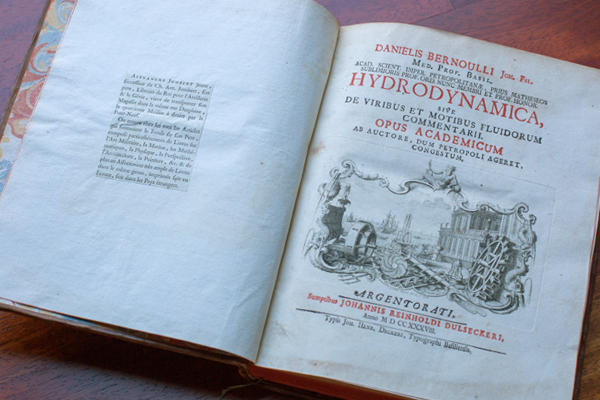 First edition of Daniel Bernouli’s Hydrodynamica, introducing the first model of the kinetic theory of gases. A section that includes Lagrange's famous Mécanique Analytique as well as a Sammelband containing Le Verrier's works on Neptune. First volume (of five) of Pierre-Simon Laplace’s Traité de Méchanique Céleste (1799-1825) describing the mechanics of the solar system in great detail. 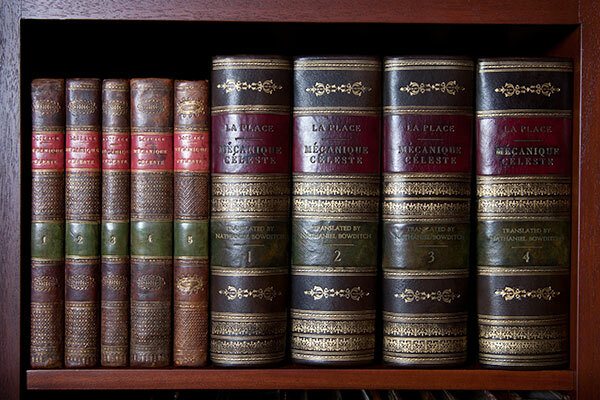 A section of the collection containing the most important first editions in the history of electricity. Plate from Ottonis de Guericke Experimenta Nova (1672), one of the most famous in the history of physics, depicting his experiment demonstrating that air pressure canhold the two hemispheres he had evacuated with a vacuum pump so tightly that sixteen horses could not pull them apart. 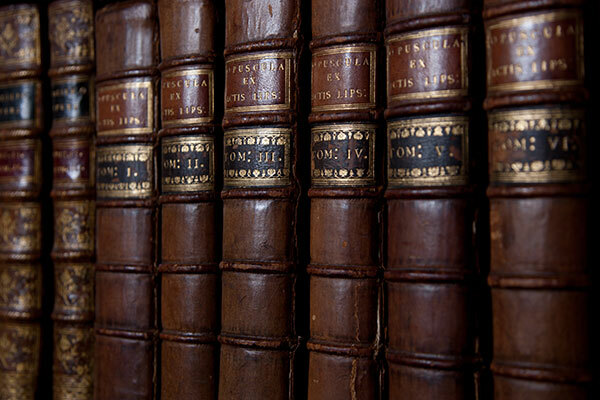 A section of the collection that relates to Newton's Principia, including four editions of the Principia, as well as the most important works written to explain Newton’s concepts to general audiences. "The American Institute of Physics has long been one of the world’s greatest resources for the history of physics. 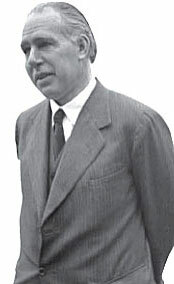 From the oral histories stored at the Center of the History of Physics, to its voluminous archives of scientific correspondence, to the Emilio Segrè Visual Archives, it would be impossible to write the history of modern physics without building on the documents and materials that they have stewarded over many decades. Now with the extraordinary Wenner Collection, the AIP has become more indispensable than ever as a repository of the most important and scarcest sources necessary to uncover the legacy of this essential science." "With the extraordinary Wenner Collection, the AIP has become more indispensable than ever as a repository of the most important and scarcest sources necessary to uncover the legacy of this essential science." "As a high school teacher, trained years ago in the Project Physics curriculum, I found reading in original works and older physics textbooks, fascinating in itself, also helped me develop my understanding and gave insights into crafting activities for students to build their conceptual understanding. For those reasons among others, I will continue to contribute to the Center for the History of Physics." St. Albans School, Washington, DC. LIGO image: Karan Jani and Christopher Evans, Georgia Tech / All historical images courtesy of the AIP Emilio Segrè Visual Archives.